This Catholic community arose from the growth of Catholic families after World War II and celebrated its first Mass in the small gym of the former South Junior High School. 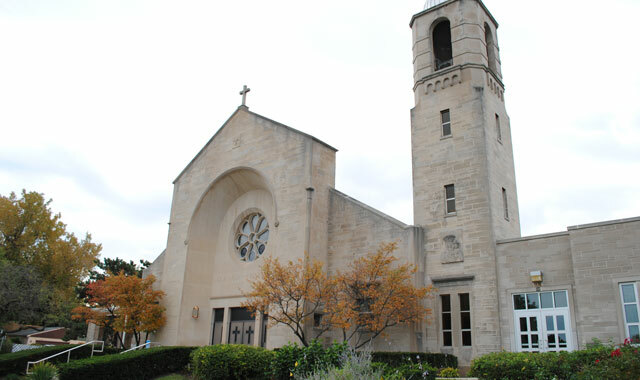 Father Harold T. O’Hara wanted to link the young parish to the rich history of the Roman Catholic Church, so he named it Our Lady of the Wayside. The name derives from a fifth-century frescoed image of the Virgin Mary that was taken from an ancient Roman building and moved from one road to the next. The parish began with 250 families and today reaches almost 3,000 households. Its mission programs let kids and adults experience fellowship while supporting their community. Each month, parish members collect food and clothing for St. Mark Church Food Pantry Ministry, in Chicago. Recipients of the donations include the disabled, those recently unemployed or working for low wages, the elderly and struggling families. Parish members also volunteer through the Meals on Wheels program, which delivers meals to shut-ins. The parish is also part of a group of 18 northwest suburban churches that provides local sites for Public Action to Deliver Shelter, or PADS, a ministry that serves area homeless. Wednesday nights from October through April, the building serves as a temporary homeless shelter. Mass is celebrated on weekdays at 8:30 a.m. Weekend mass is celebrated Saturday at 5 p.m. and Sunday at 7 a.m., 8:15 a.m., 9:45 a.m., 11:30 a.m., and 6 p.m.
There’s no need to wear a suit, tie or fancy dress to Trinity Church. That’s because this church’s members are more concerned about who you are than what you wear. This church, which began in a garage in 1947, is part of the association of Lutheran Congregations in Mission for Christ. 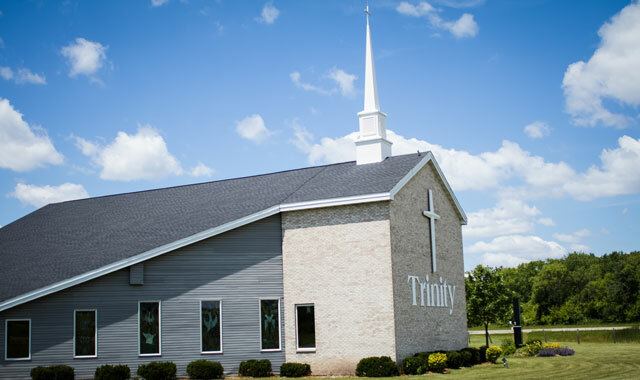 Throughout its history, this church has remained dedicated to serving its community. Church members value the community locally and globally, and they show their love in many ways. Church members are sent on mission trips to Haiti, Kenya and other parts of Africa. The church sends yearly teams of volunteers and helps to support full-time missionaries in each country. When Hurricane Matthew struck Haiti’s southern peninsula in 2016, church volunteers reached out with tarps and food to the most remote areas in the mountains, where food is scarce. Closer to home, church members serve meals to community members in need on Wednesdays at 5 p.m. and Sundays at noon. On a monthly basis, the men of the church gather for food and fellowship. They participate in men’s events at other churches and host several activities each year with the hope of welcoming new men and youth into the Christian community. Church volunteers play a major role in the Salvation Army’s annual bell ringing fundraising campaign. Last year, the church raised $674 for the Salvation Army’s Christmastime drive. Rev. Brian Metke leads services each Sunday morning at 7:45 a.m., 9 a.m. and 10:45 a.m. Sunday school takes place from September to May at 9 a.m., during the mid-morning worship service. This entry was posted on Tuesday, July 18th, 2017 at 11:59 am	and is filed under Mind & Spirit. You can follow any responses to this entry through the RSS 2.0 feed. Both comments and pings are currently closed.